We spend close to half our lives surrounded by darkness. This is why, at in-lite, we know how important outdoor lighting can be. Since the early 2000s, in-lite has helped pioneer 12 volt LED lighting in North America and Europe. in-lite is now a leader in providing safe and energy-efficient low voltage lighting. Whether you are inside or outside your home, our lighting helps you to enjoy the outdoors all year round. Let us show you what light can do. LED ground spotlight FLUX is finished with a stylish Stainless steel ring and produces a beam of War.. The soft glow of the LED ground spotlight FUSION allows you to subtly mark off your terrace or drive..
LIV WALL Wall lamp is finished in warm silver coated aluminium with a narrow silver-coloured Ring. G.. LED ground spotlight NERO produces a beam of Warm White light. Suitable for illuminating trees and s.. SCOPE The light beam produced by the LED garden spotlight SCOPE can be used to illuminate special sp..
LIV LOW DARK above ground fixture LIV LOW DARK produces a warm white atmospheric light all round. 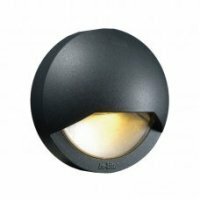 Su..
LIV LOW above ground fixture LIV LOW produces a warm white atmospheric light all round. Suitable for..
BLINK DARK Wall fixture in warm silver coated aluminium. BLINK comes with two lenses: transparent a..
BLINK Wall fixture in warm silver coated aluminium. BLINK comes with two lenses: transparent and ma..
CUBID WALL LIGHT Subtle cube-shaped wall fixture in warm silver coated aluminium. Generates a warm w..
CURV is a decorative wall lamp in warm silver coated aluminium. This LED wall lamp generates indir..
HYVE Round fixture finished with a chic Stainless steel ring. Produces a attractive warm light imag..
Good things come in small packages: the FUSION 22 fixture. This subtle fixture with a diameter of 22..
MINI SCOPE. This small spotlight is supplied with a bracket and ground stake. This makes the fixture..
CB 056/M Transformer 56 Watt with the functions manual on/off, light sensor and timer. Can be used o..
CB 081/M Transformer 108 Watt with the functions manual on/off, light sensor and timer. Can be used ..
CBL-25 14/2 Low voltage cable type 14/2; 12 volt double-cored. Is available as a 25-meter roll and c..
CBL-40 14/2 Low voltage cable type 14/2; 12 volt double-cored. Is available as a 40-meter roll and c..
Extension cord type 18/2; length 1 meter. Can be used to increase the distance between the fixture a..
Extension cord type 18/2; length 3 meter. Can be used to increase the distance between the fixture ..
CC2 Cable connector for connecting two 12V low-voltage cables in a split cable layout. Filled with m..
CABLE CAP STANDARD - Caps for properly closing off the ends of the 14/2 cables. IMPORTANT! All of o..